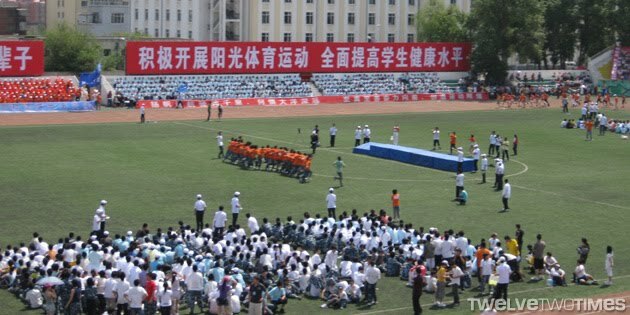 Before the push for the final exams, freshmen and sophomore students participated in a “sports meet.” The event is similar to an elementary field day often held in the States. Students choose different events to participate in including this 20? legged race. The sports meet serves as a welcome to spring and as a final hurrah before the students go off and hibernate studying for their finals. For most classes, the final exam counts up to 90% of the score for the term putting the students under extreme pressure to succeed. Please remember these students as they study and deal with enormous pressures.